I'll be speaking at the KickApps/Akamai seminar on Thursday, May 27th along with Alitmeter's Charlene Li, Dell's Heather Burnett and IBM's Errol Denger. 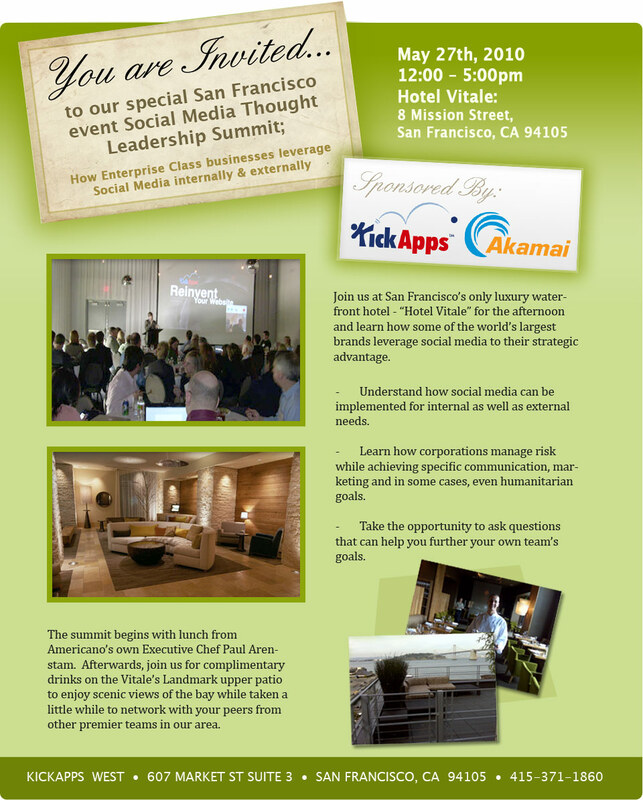 It's at the Hotel Vitale, 8 Mission Street. The session runs from 12 - 5PM, I go on at 1:30.